This 45-story, steel and concrete building is designed in structural concrete, its foundation firmly plated in a base of 40 ton rock by rock anchors that resist lateral load movement. 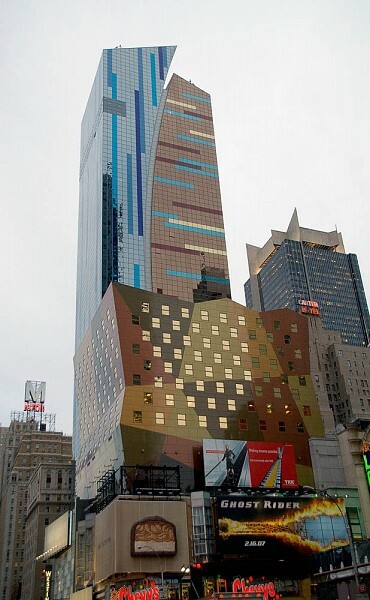 Part of the hotel structure, called the “bustle,” is supported by the existing E-walk Building that runs along 42nd Street. It consists of one-story steel trusses that transfer gravity loads to the building below.